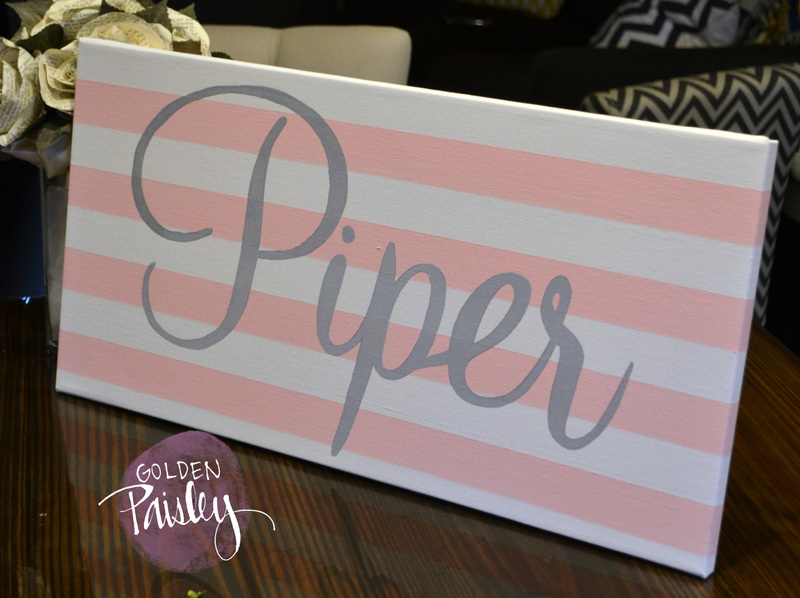 This adorable and chic 12 x 24 inch canvas painting oozes glamour. 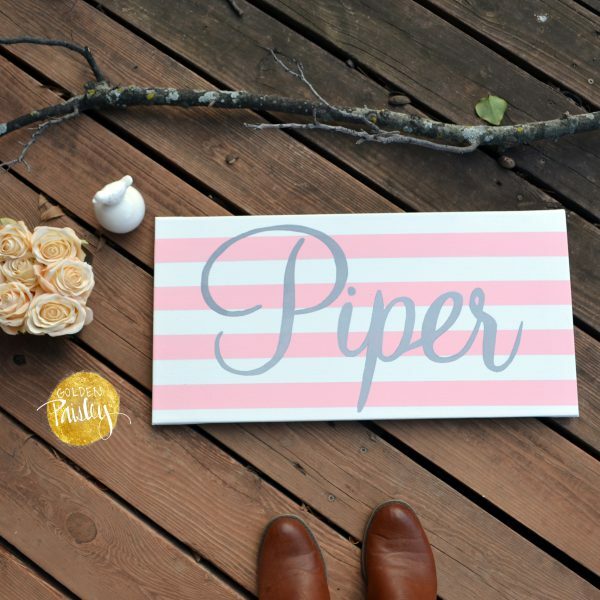 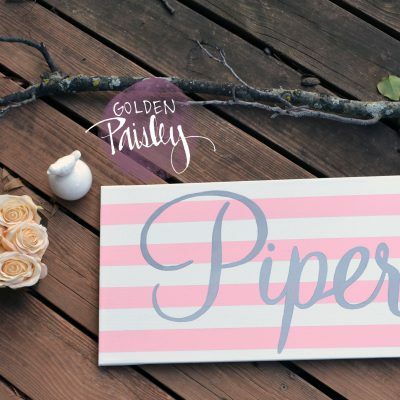 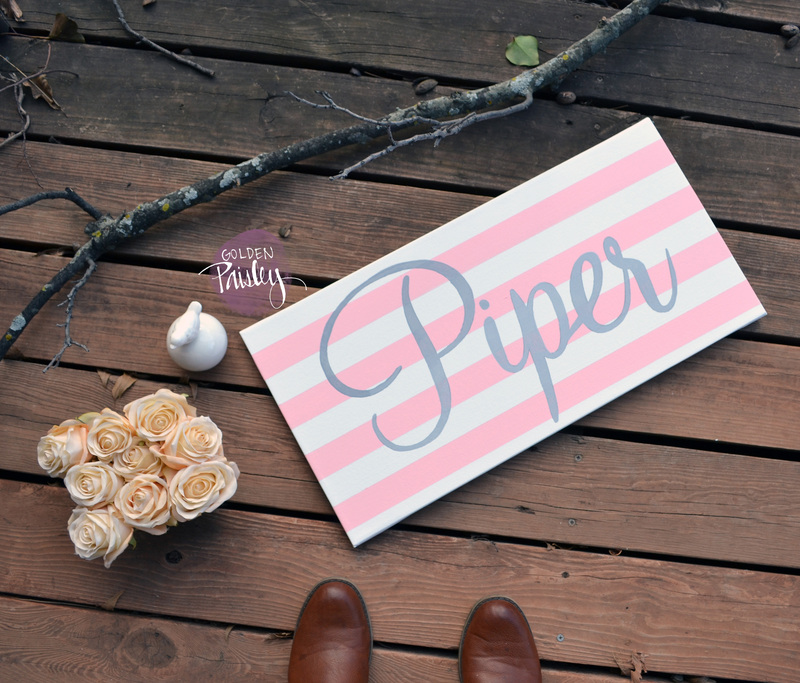 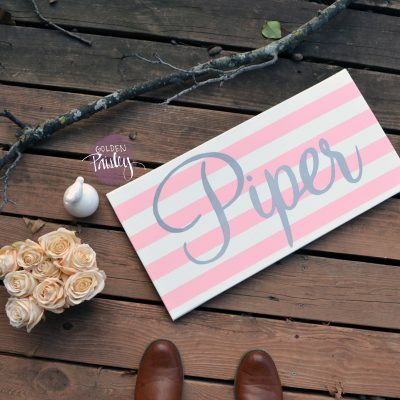 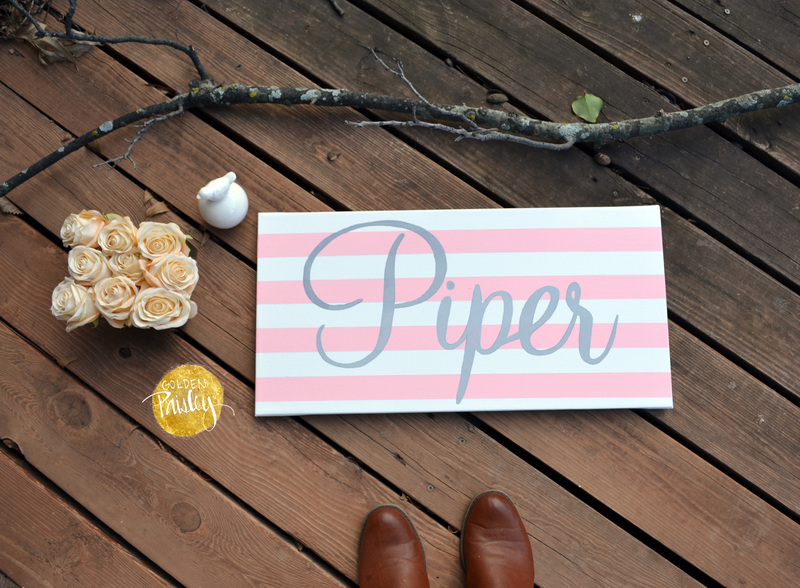 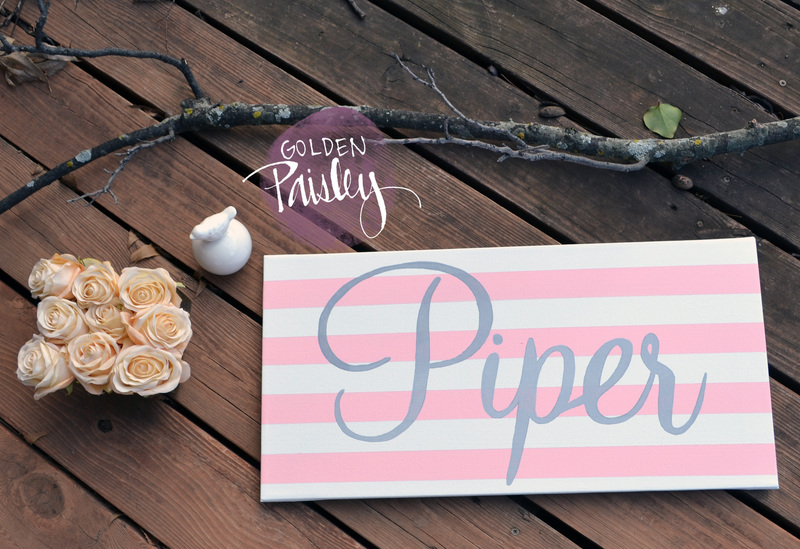 The painting is handpainted with baby pink and white stripes, and personalized with a special little girl’s name painted in gray in a gorgeous calligraphy font. 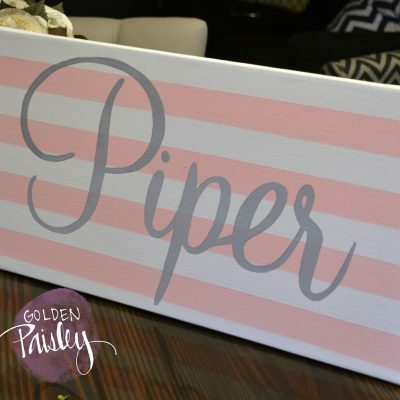 The font is handpainted onto the canvas for a special hand made touch, not a computer print. 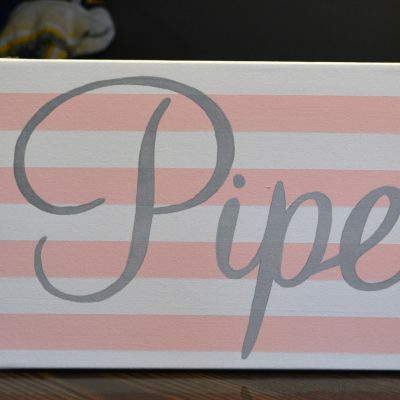 Painting includes sawtooth hanger on the back. 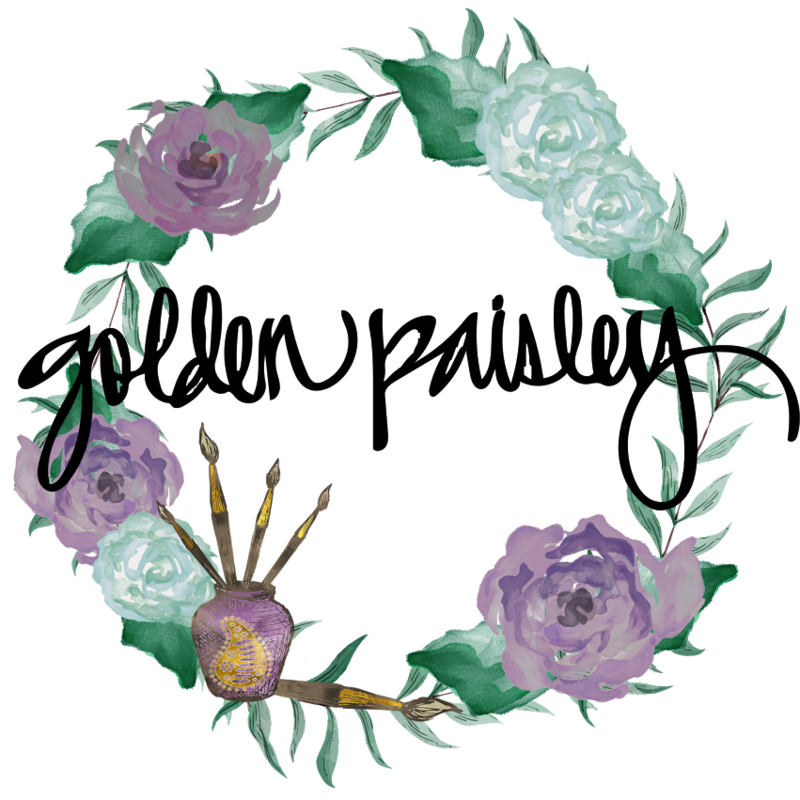 Please type your special little girl’s name in the “notes to seller” field upon checkout.